The UK No. 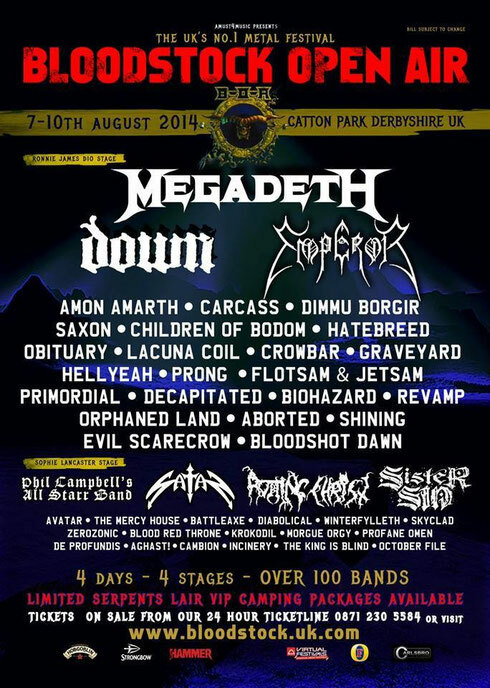 1 Metal Festival BLOODSTOCK OPEN AIR will take place at Catton Park in Derbyshire, UK on August 7th - 10th 2014. Over 100 bands will perform by being separated in 4 stages for 4 days. See more info on BLOODSTOCK website.